80% of respondents lacked confidence despite having good knowledge of cyber threats. 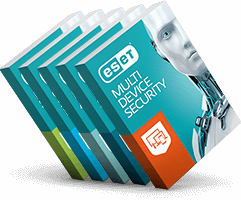 ESET® released the ESET Japan Cyber-Savviness Report 2016, which shows that while users in Japan are knowledgeable about cybersecurity, they still need to ensure that they are adequately protected when accessing the internet. Findings show that while more than 70 percent of the respondents didn’t receive any formal education about cybersecurity, 4 out of 5 were able to correctly answer basic cybersecurity questions. This level of knowledge was consistent between the different age groups surveyed. “In Asia-Pacific, Japan has always taken the lead in technology adoption and innovation. The country relies on data, online communications and information technology to drive innovation and efficiency, resulting in increased exposure to cybersecurity risks,” said Parvinder Walia, Sales and Marketing Director, ESET Asia-Pacific. The survey polled 1,033 respondents in Japan to gain insight into attitudes, knowledge and user behavior when it comes to cybersecurity. Compared with the results of the ESET Asia Cyber-Savviness Report 2015 and the ESET Vietnam Cyber-Savviness Report 2015 (covering seven other Asia-Pacific markets), Japan had the highest cyber-savviness score. Cyber-savviness is based on users’ knowledge or ability to understand activities that make them vulnerable online and the proactive steps needed to protect themselves. “All it takes to fend off cyber-criminals is the consistent use of simple preventive measures. It’s a shame that so many people are not actively using their knowledge of cybersecurity when little things like maintaining proper passwords could help alleviate their anxieties and use the internet safely and with confidence,” concluded Walia. Overall, users in Japan do not engage in risky cyber behavior. For example, most respondents (86%) know to immediately disconnect a breached device from the internet and 71 percent do not open or download attachments from unknown senders. However, the survey points to a significant gap between user awareness and implementation. Also, while as many as 96 percent of respondents were aware of the threat posed by using the same password for different accounts, only 1 in 5 actually set separate passwords for their individual online accounts.